Unnamed 21-year-old was believed to be highly intoxicated. He was pulled from the water by another skiff, and taken to hospital. 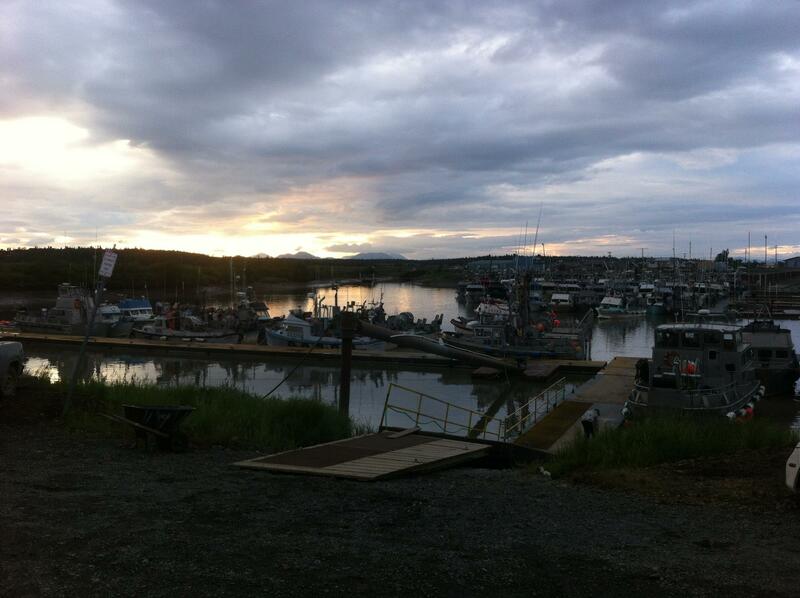 Dillingham harbor Saturday night, just after a young man was pulled from the water. DILLINGHAM: Witnesses said the young man, whose name and hometown have not been released, was yelling and screaming, and attempted to untie several boats in a line near the southeast end of the harbor. Police officer Taner Lowery arrived at the harbor, and attempted to apprehend the man, which no one else at the scene had been able to do. Witnesses said the man jumped off the bow of the boat to avoid the officer. The man swam towards the south ramp or harbor exit, just as several drift boats were pulling into the harbor for the night. One woman said she yelled at the skipper of one vessel, which prevented him from running over the man. No one went in the water after the man, and police say he refused to get into the first skiff that offered help. Another skiff plucked him out of the water, and police placed him under Title 47 protection. He was held at the hospital for a mental health evaluation. In August 2012, 25-year-old Fred Knutsen drowned in the Dillingham Harbor, apparently trying to flee police officers. The family of Mr. Knutsen later sued the City of Dillingham, two police officers, and the Sea Inn Bar for damages from that incident. That case is still ongoing.